Today the Japanese automaker Nissan has unveiled its Multi Utility Vehicle (MUV) the Evalia on the first day of 11 Auto Expo in Delhi. Ranbir Kapoor the brand ambassador of Nissan were present their, at the time of Unveiling. 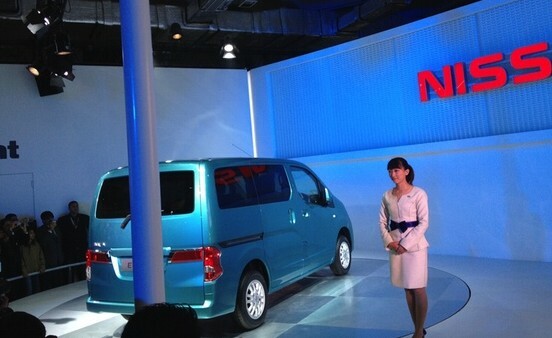 In India the popular MUV is Toyota Innova , So Nissan uncovered it’s Evalia to compete with Toyota Innova . Corporate vice president of Nissan Motor Gilles Normand said. "We want to show India the depth of Nissan's global offering and that expanding range of innovative cars underlines the strategic importance of India to Nissan's future growth plans,"
However, the company did not disclose the price or the date of launch.